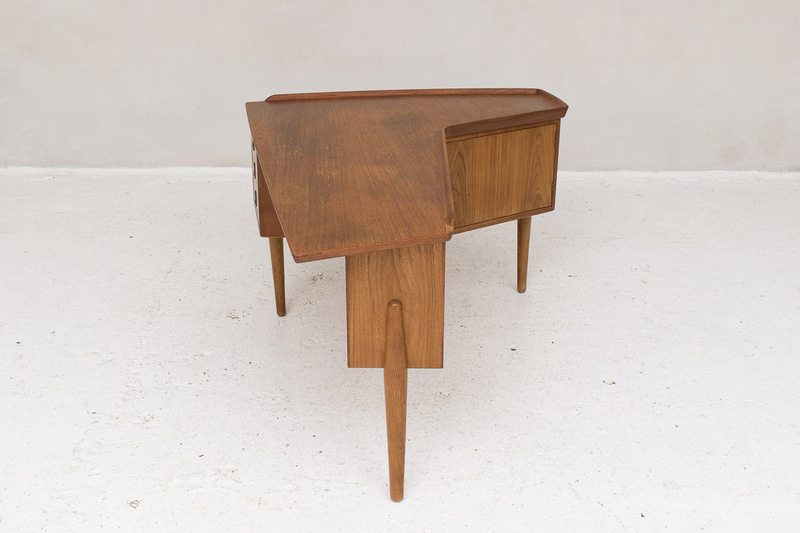 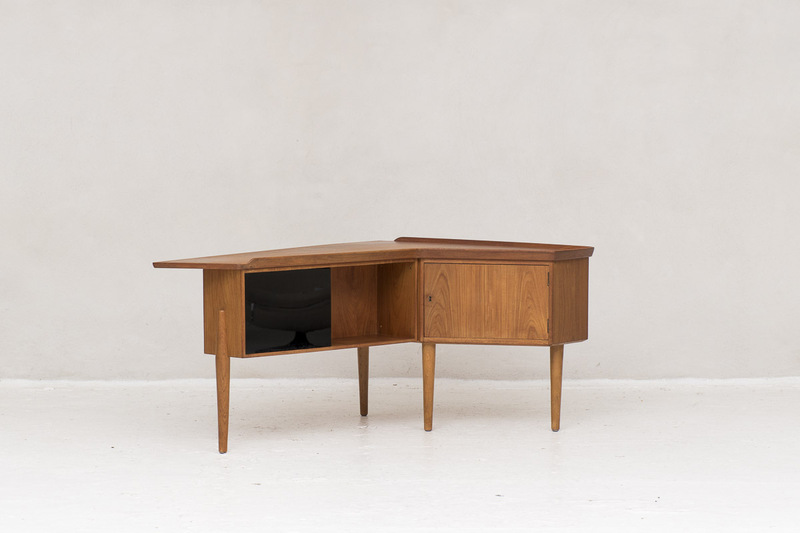 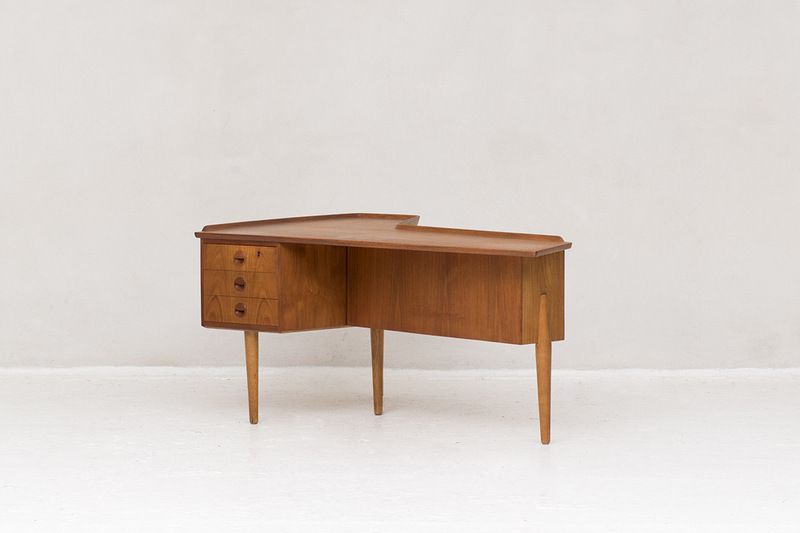 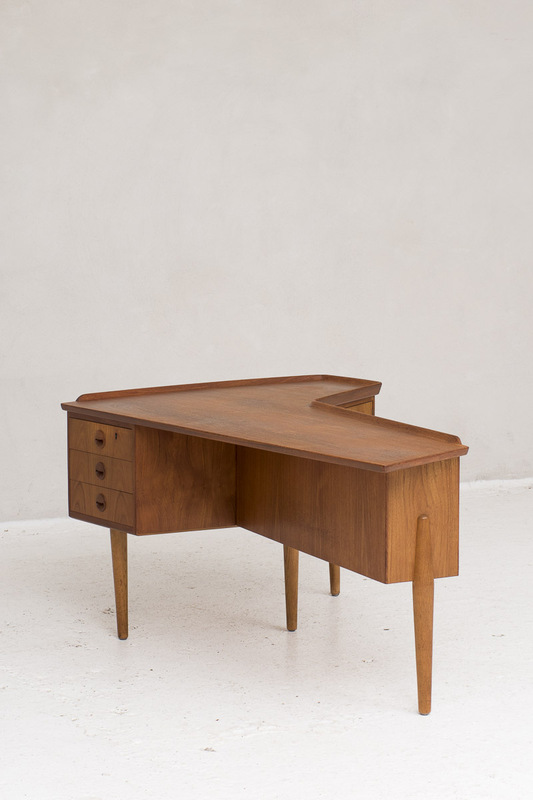 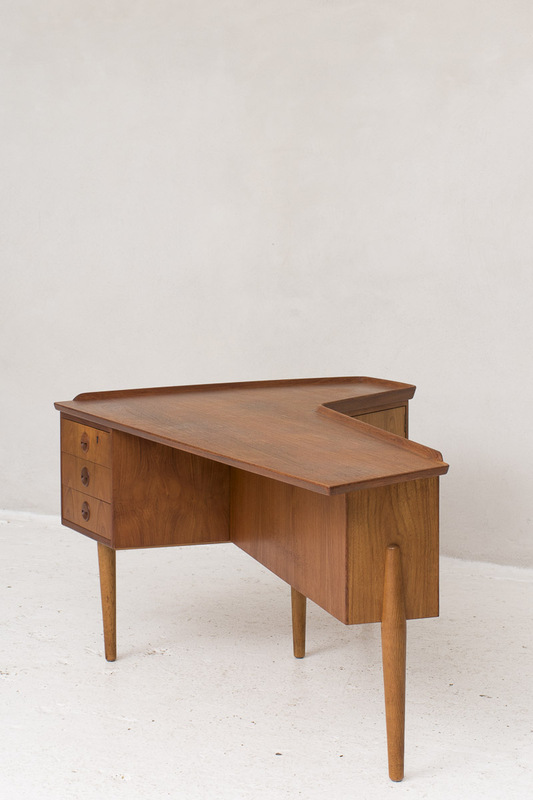 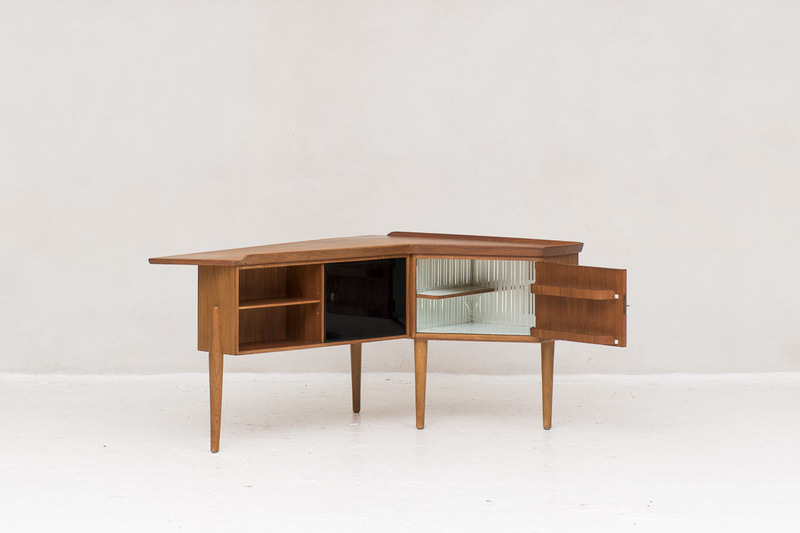 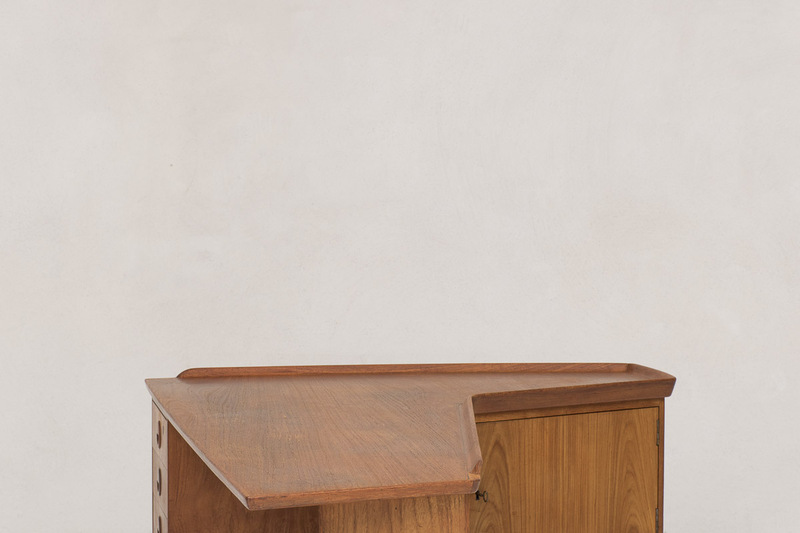 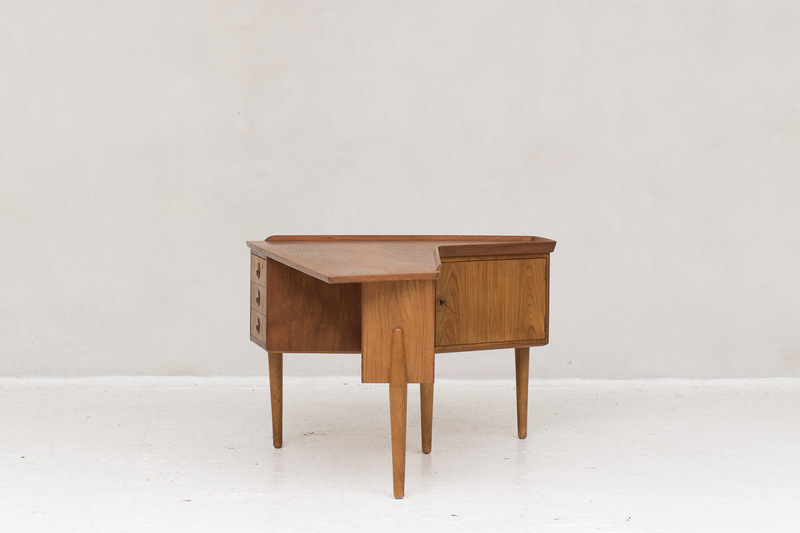 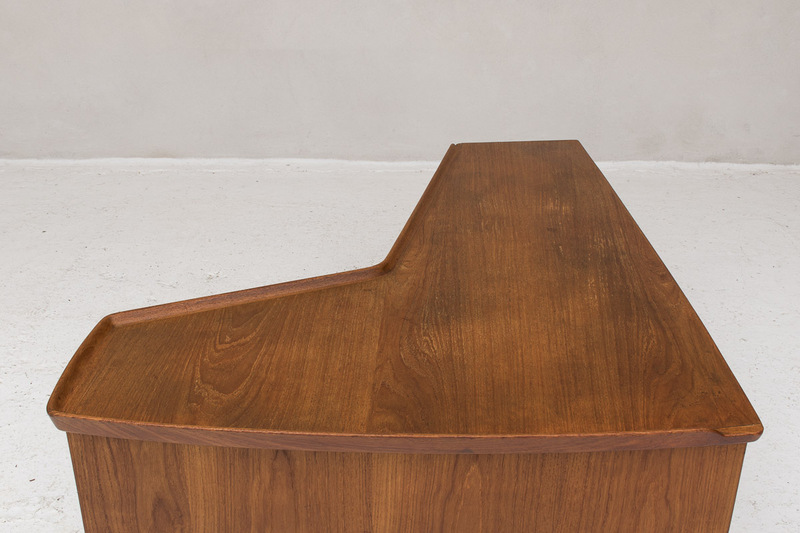 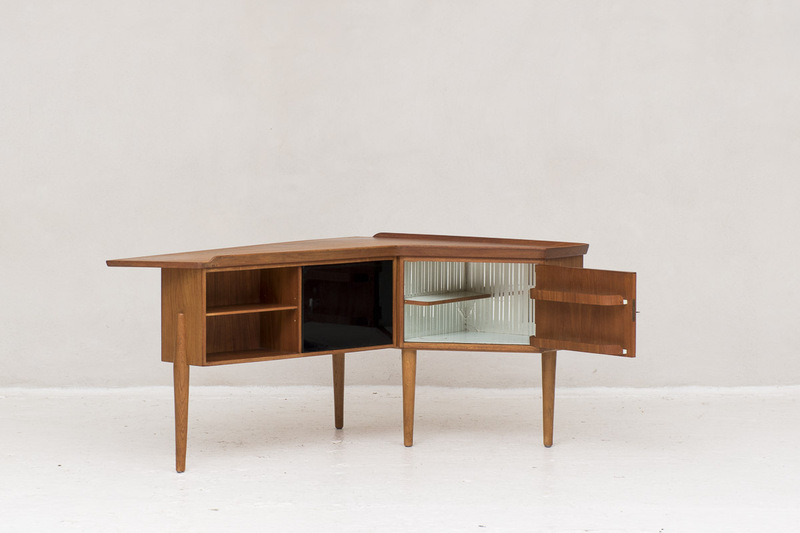 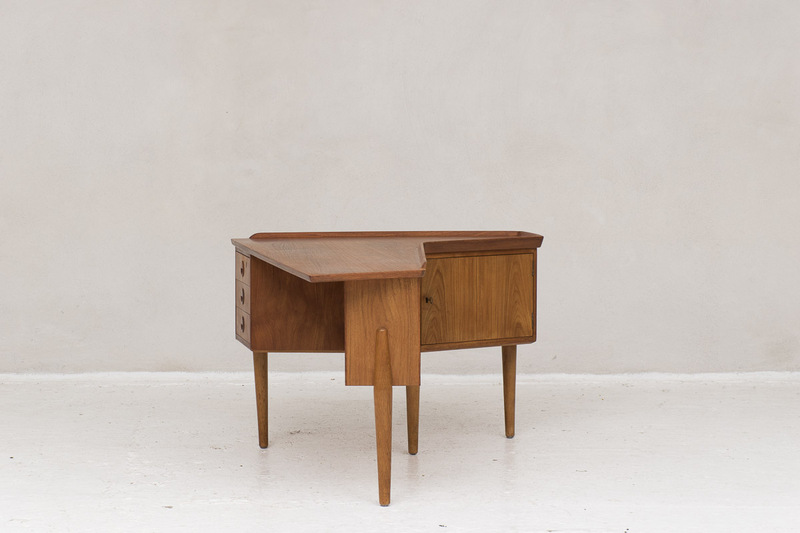 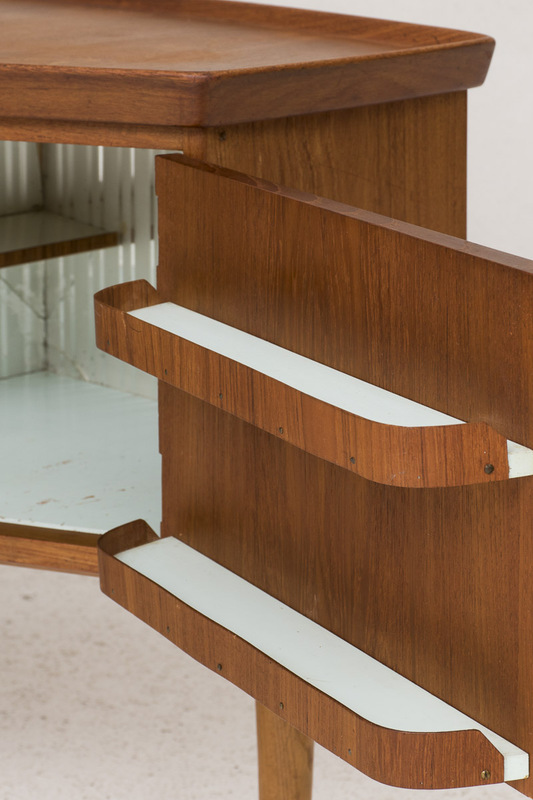 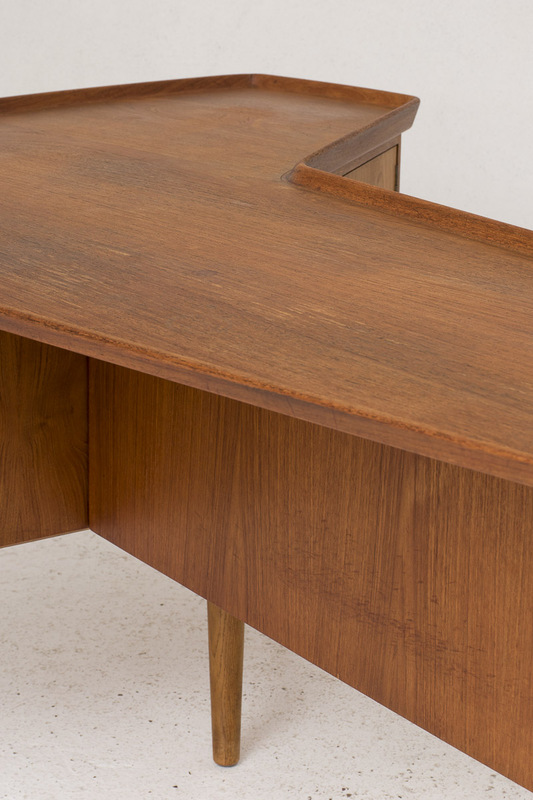 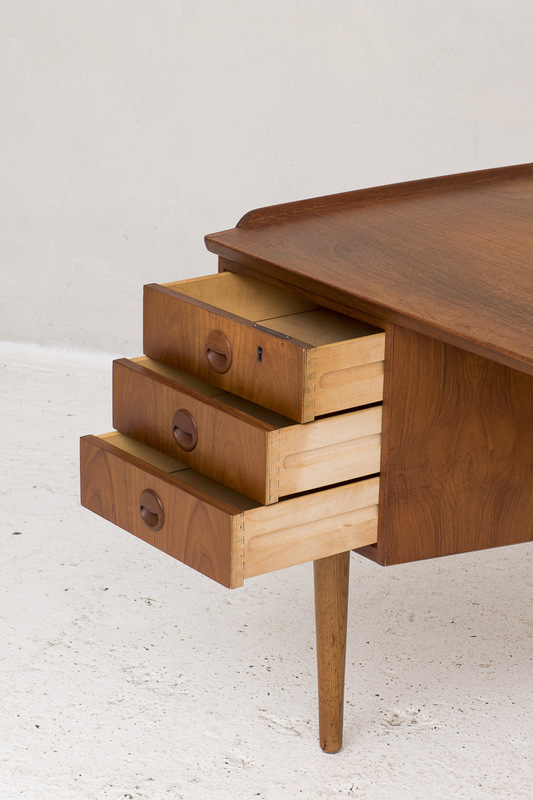 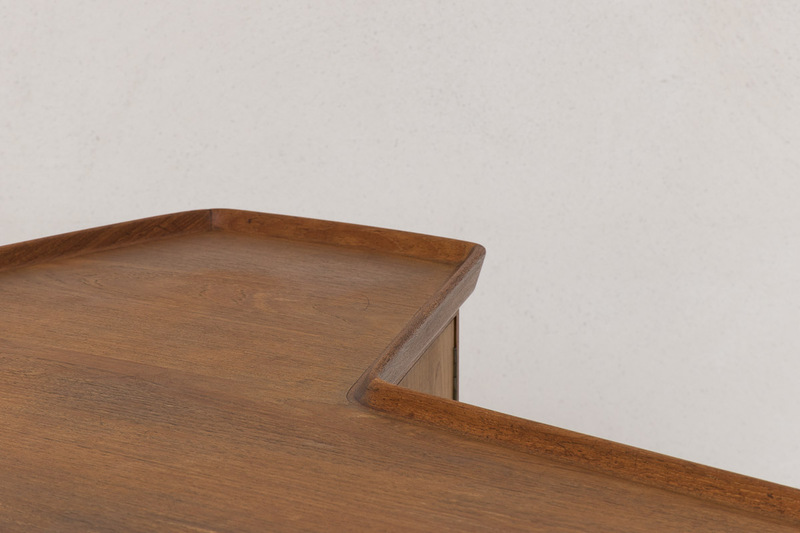 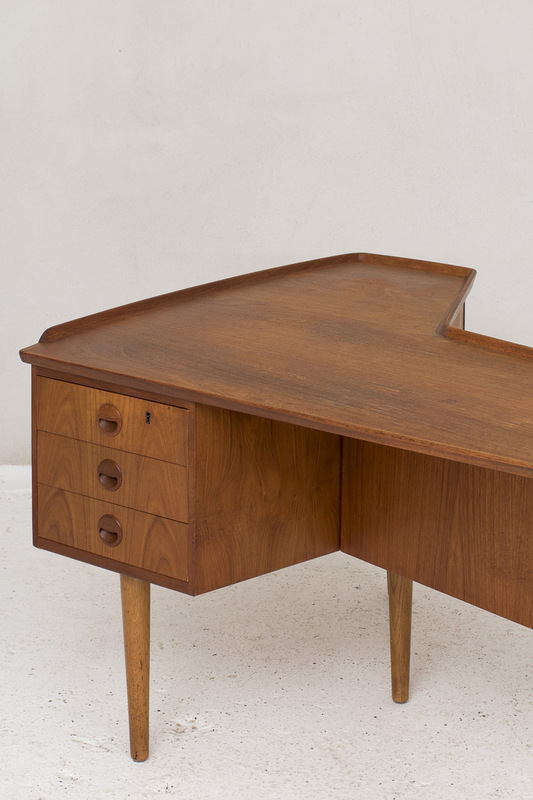 XL boomerang desk produced in Denmark in 1960. 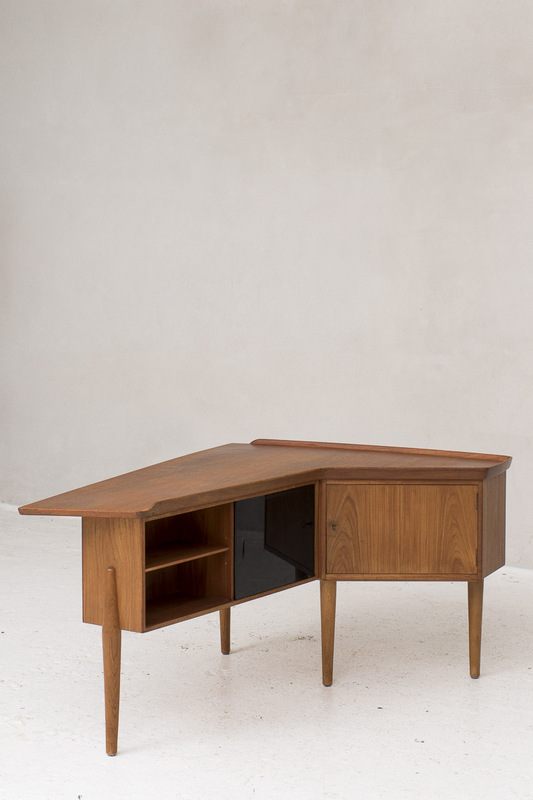 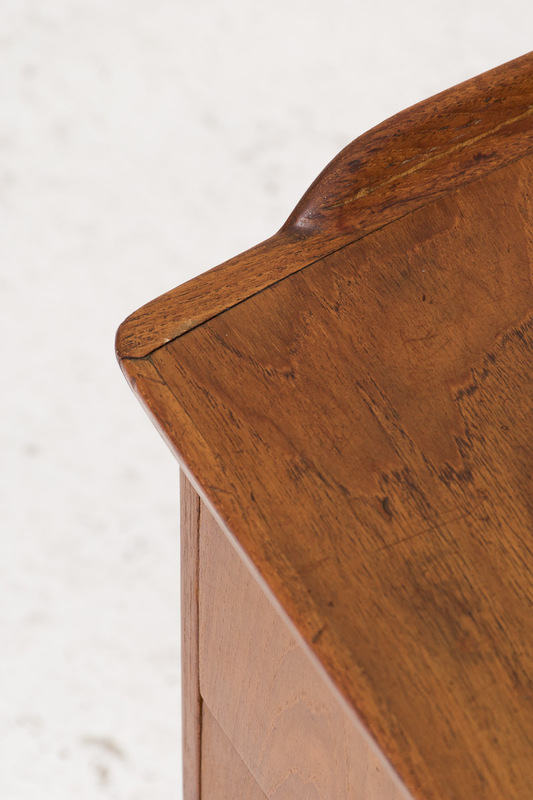 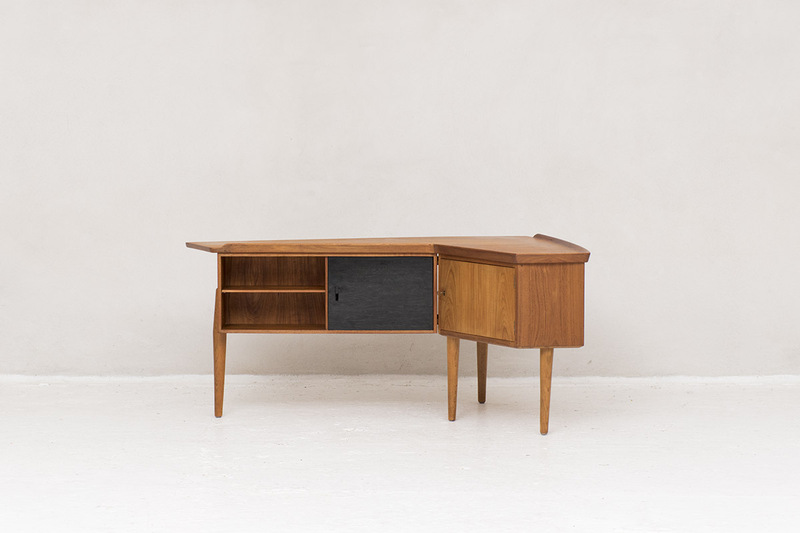 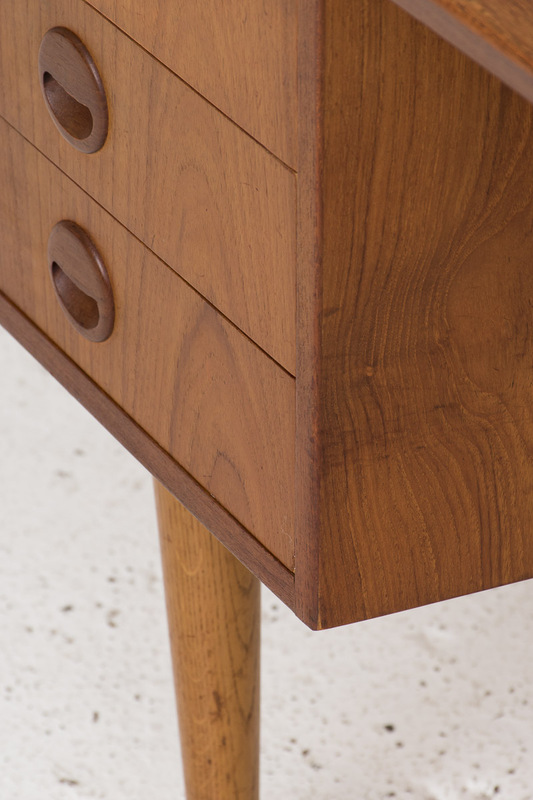 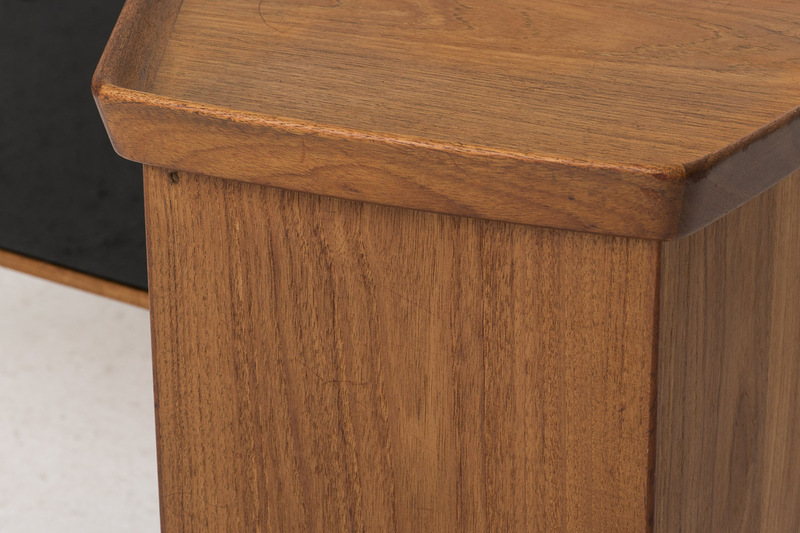 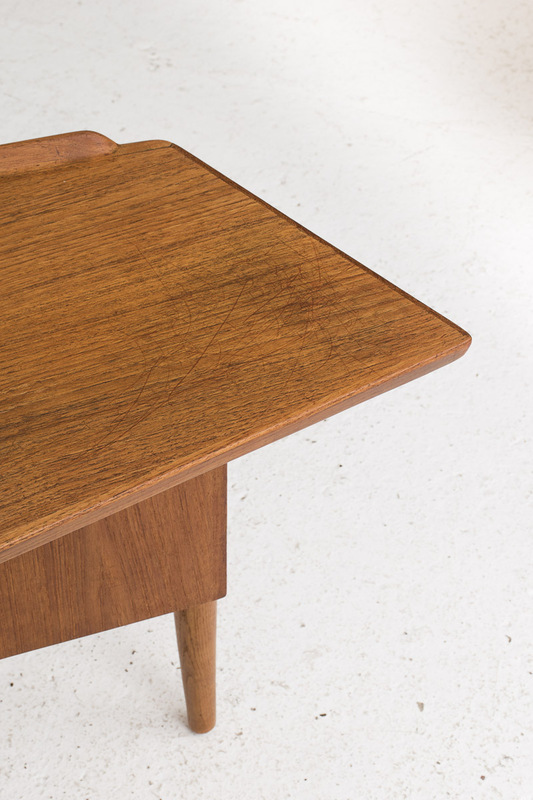 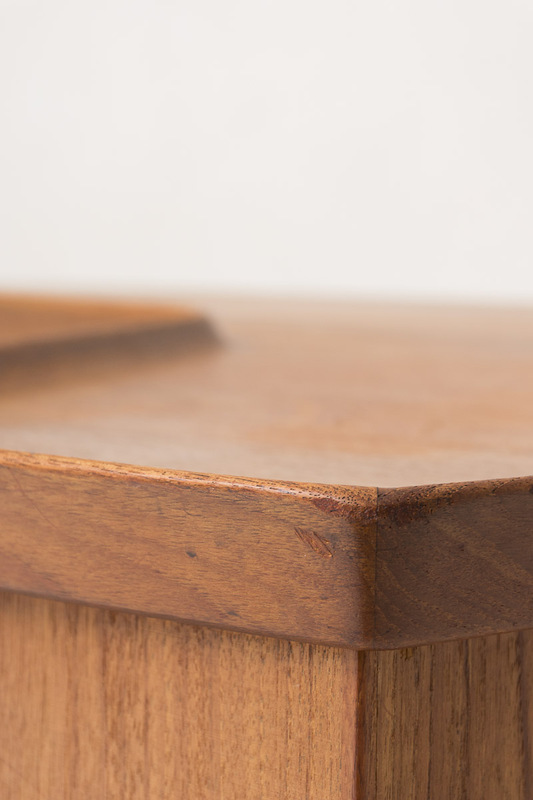 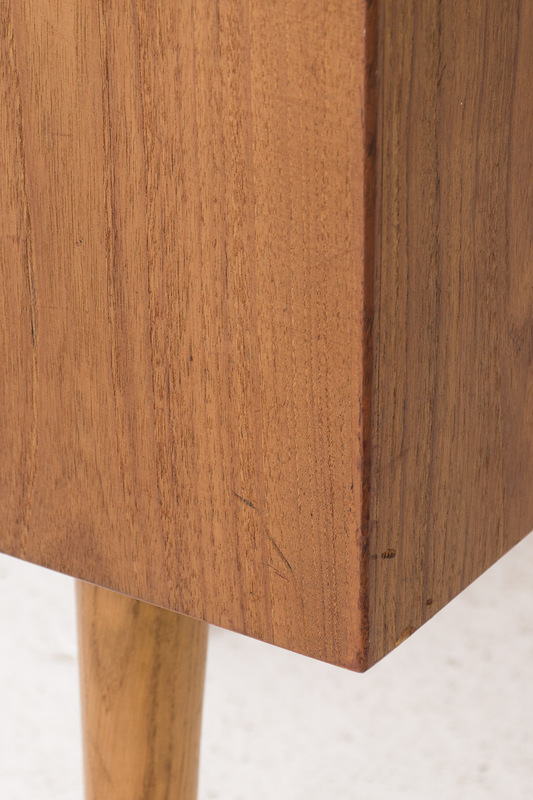 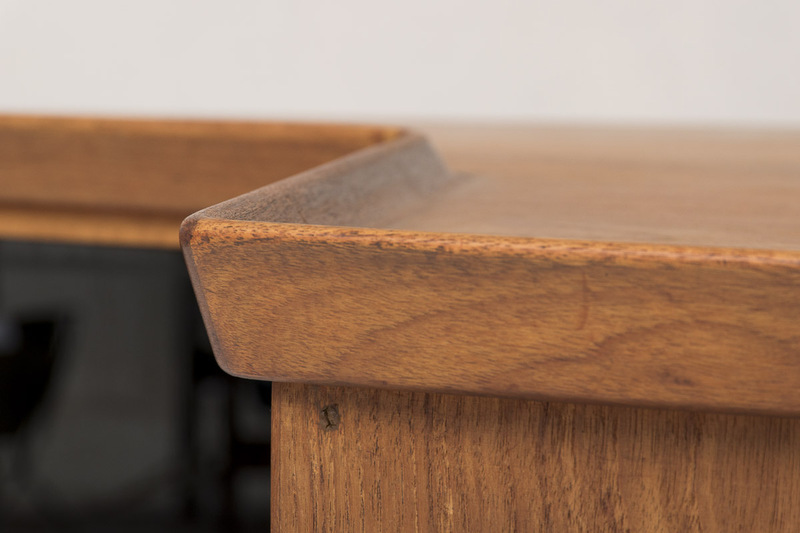 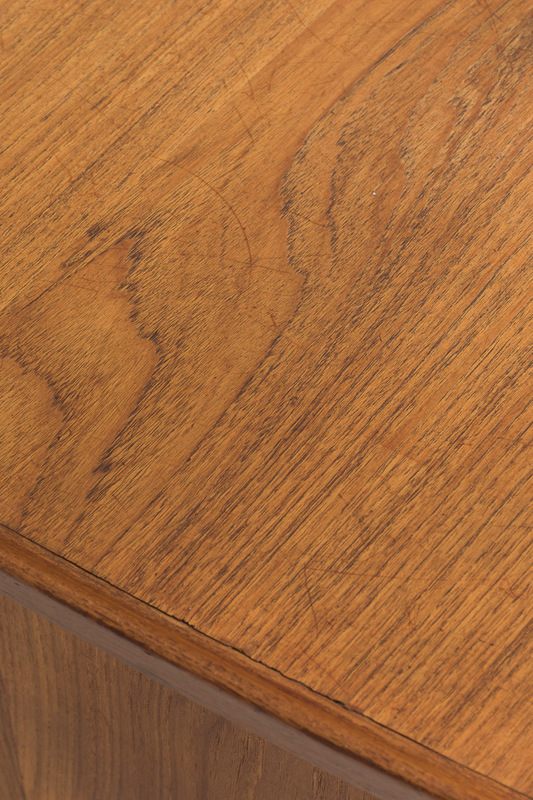 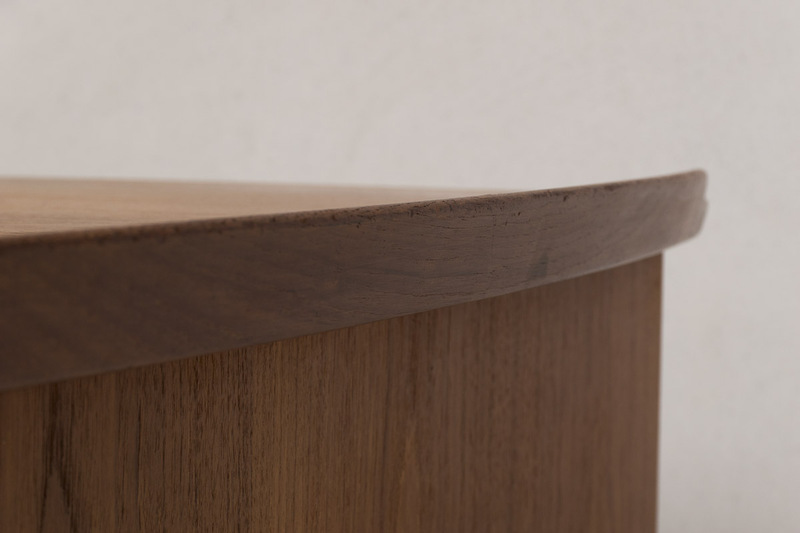 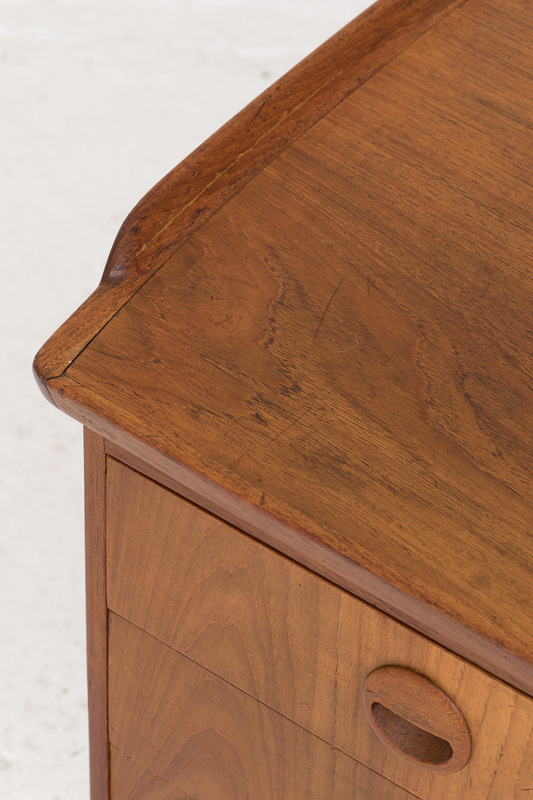 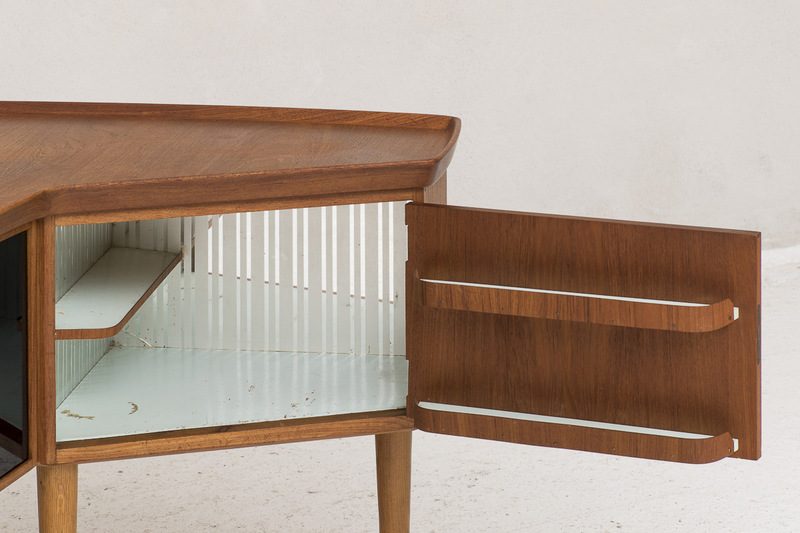 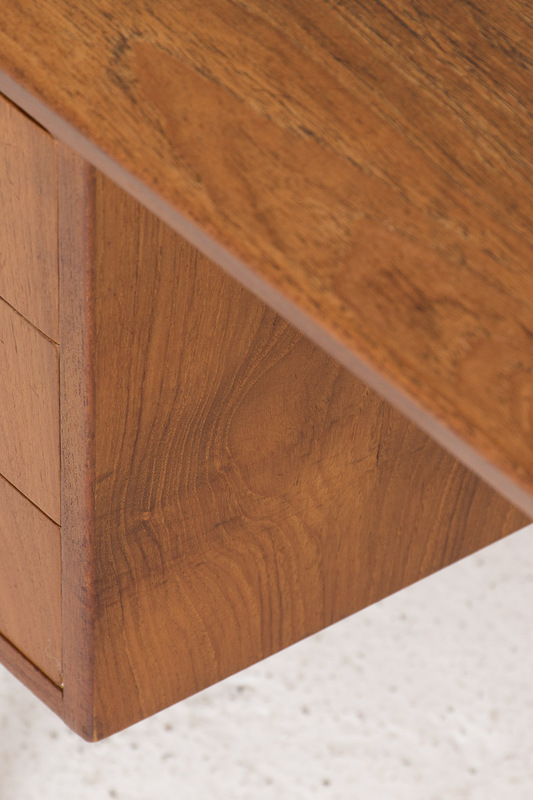 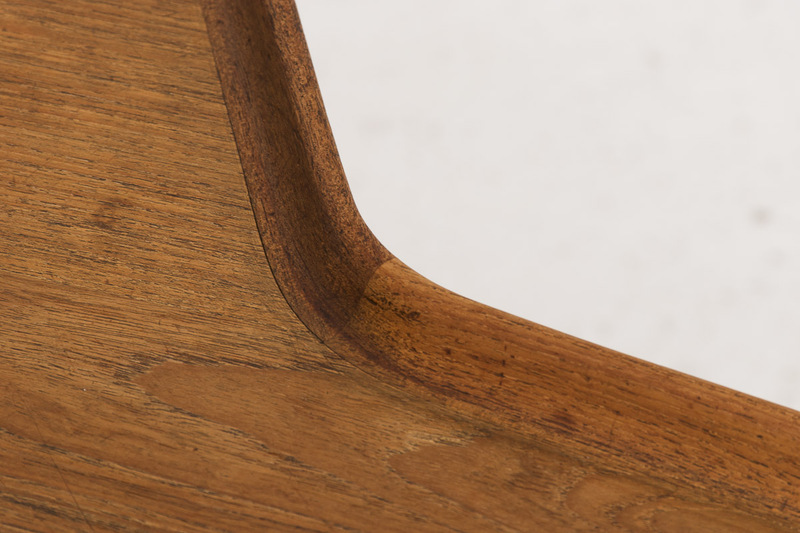 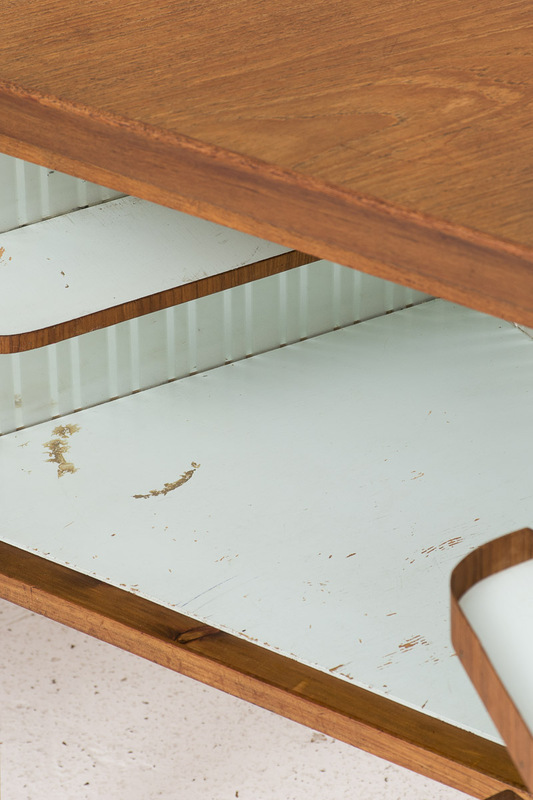 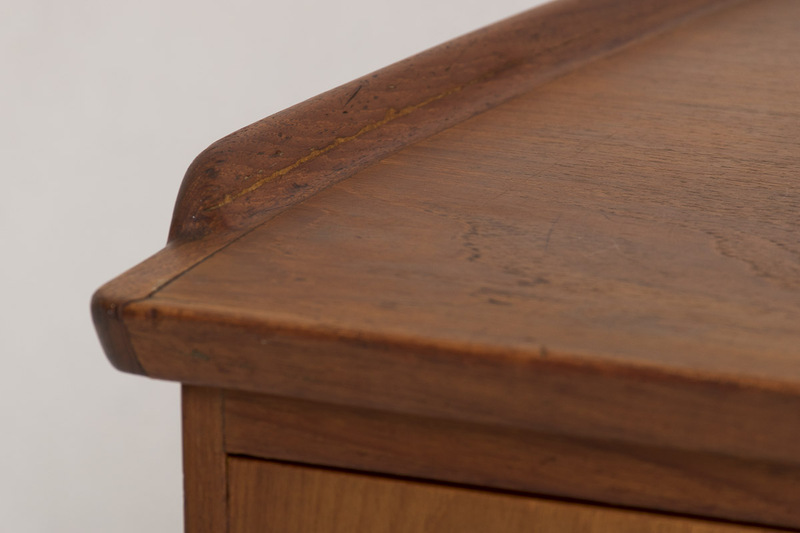 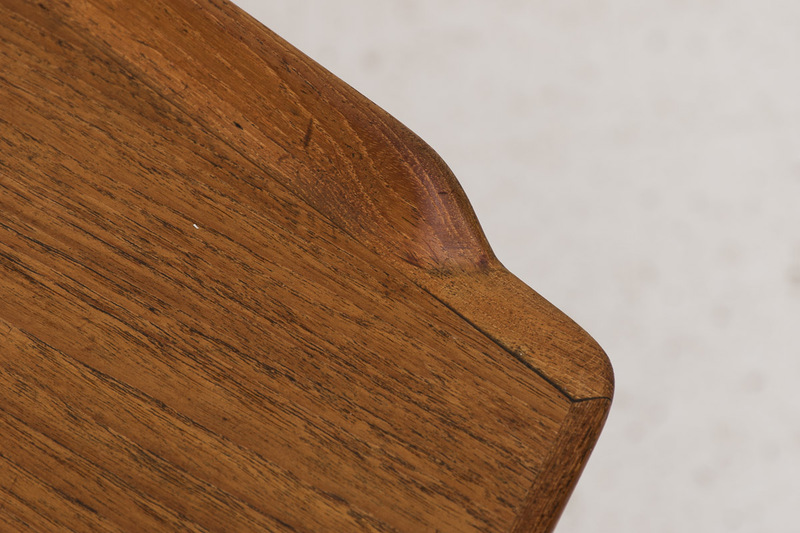 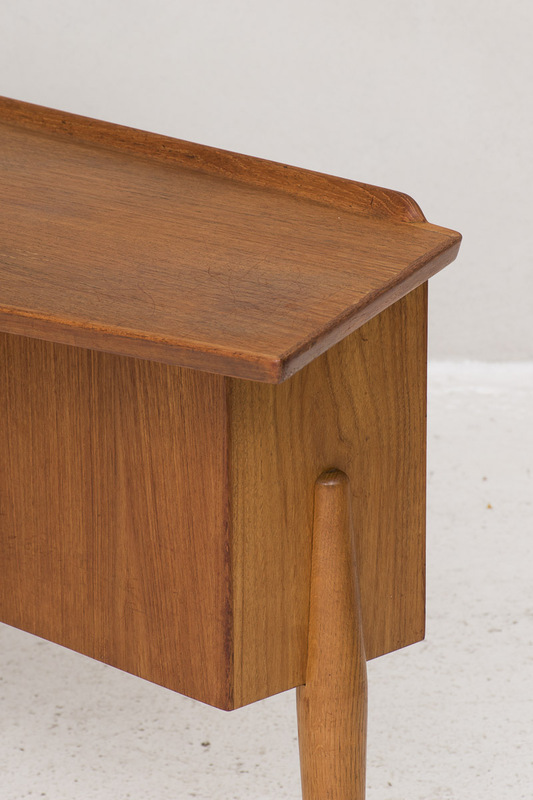 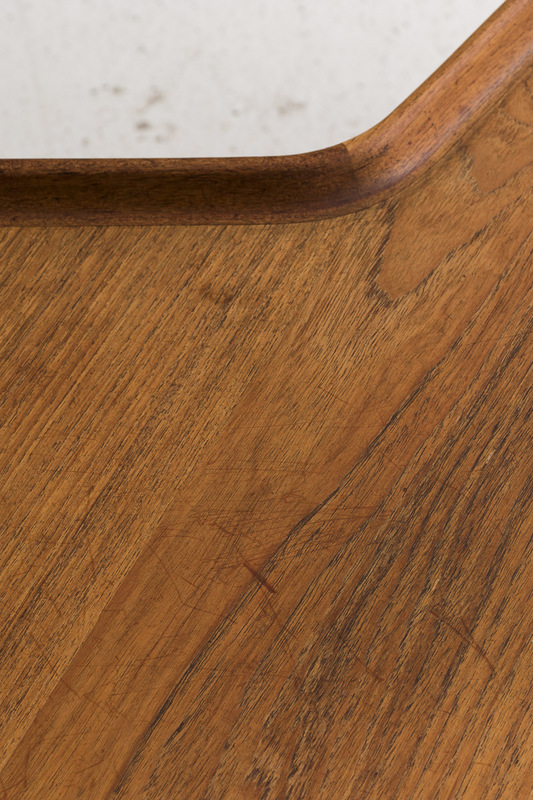 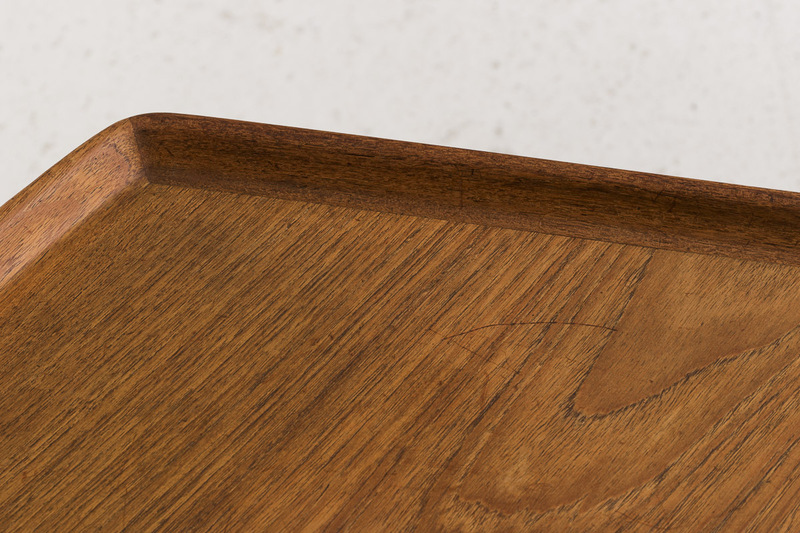 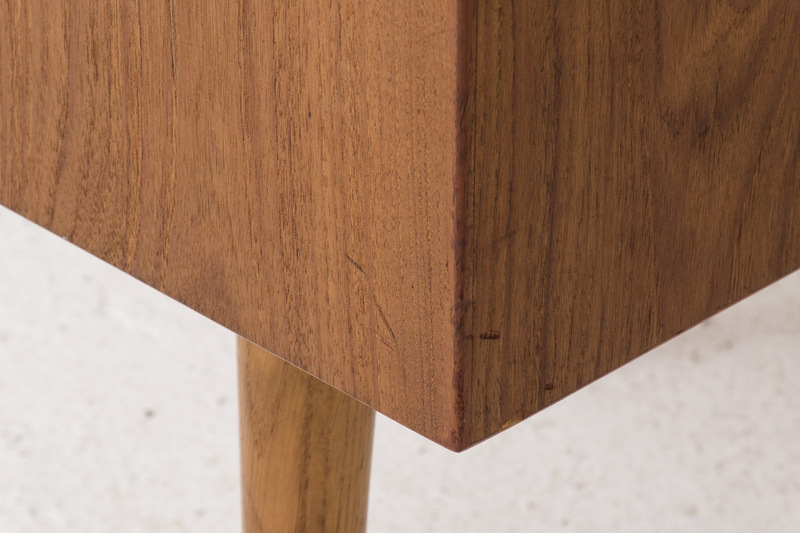 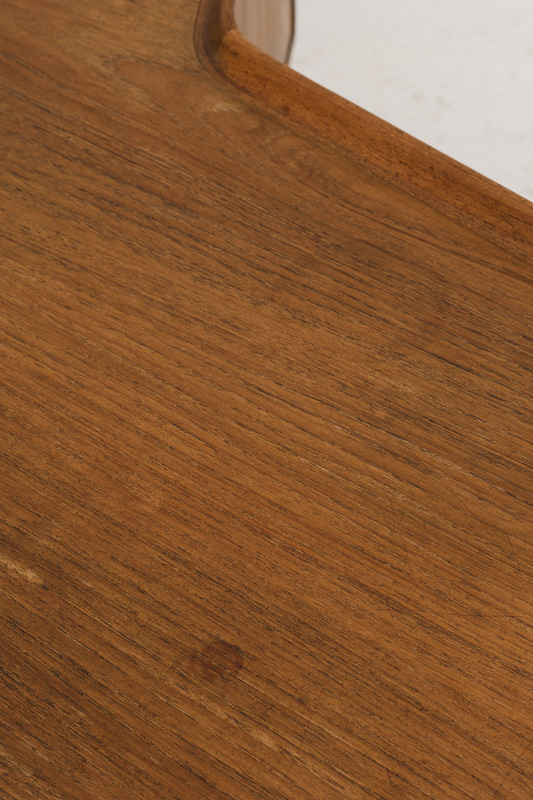 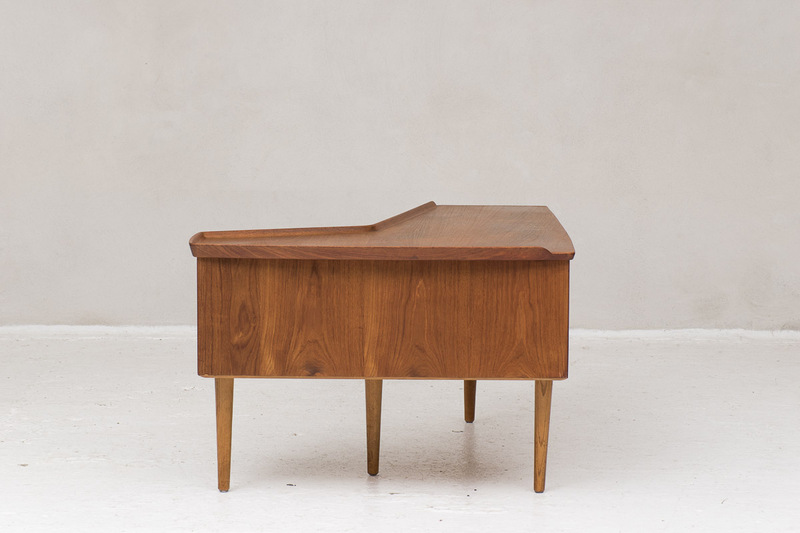 It has a solid teak frame, tapered legs and a boomerang-shaped top in teak veneer. 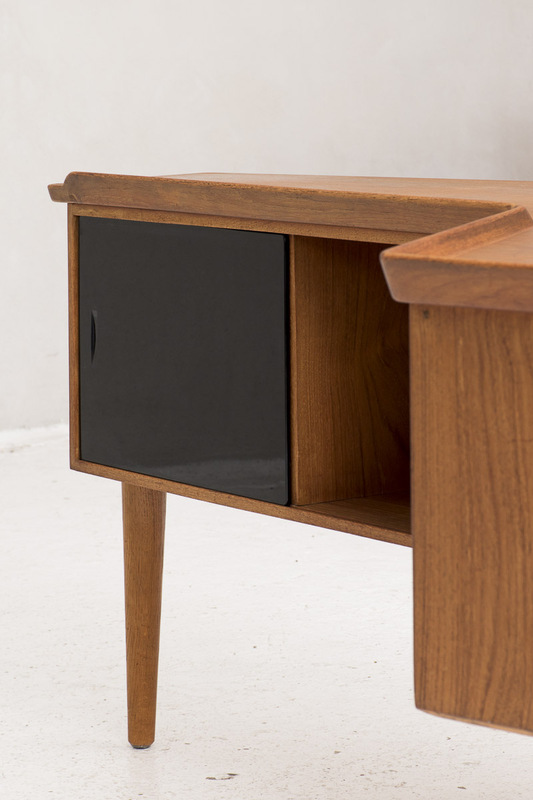 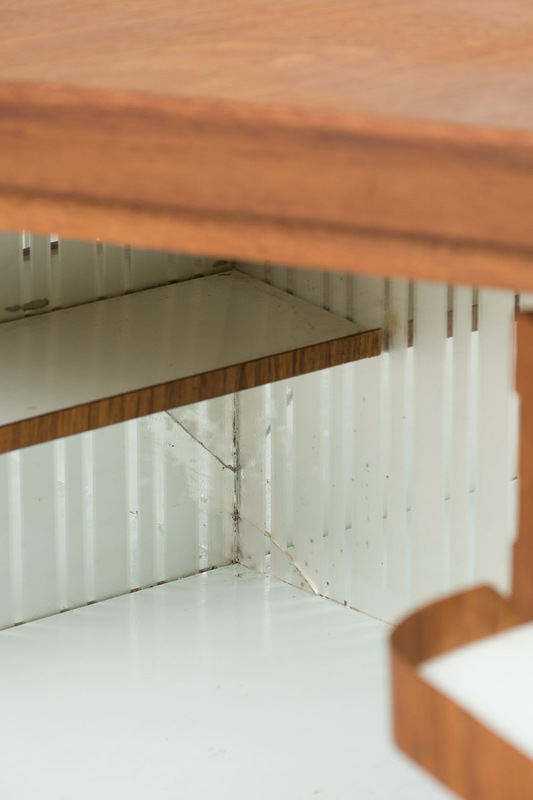 The front has a black glass sliding door with a matt finish and a bar cabinet with the original key. 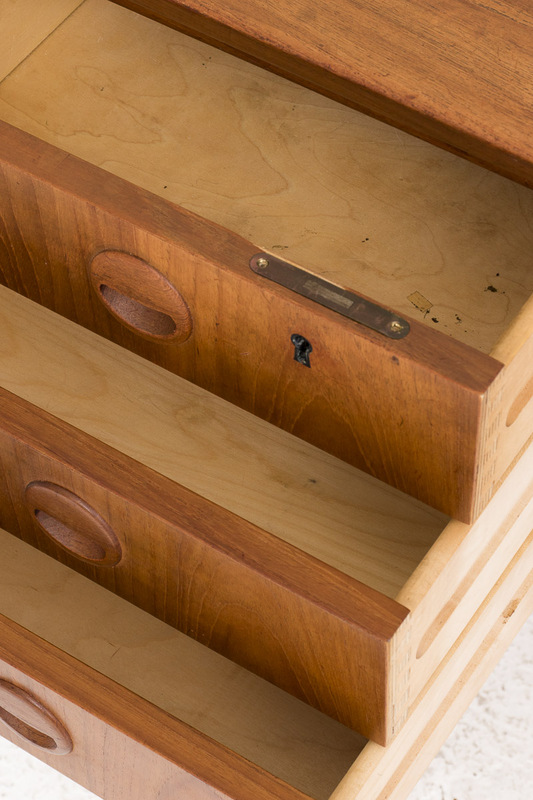 On the backside are 3 drawers, also one with key. This desk can be used freestanding. 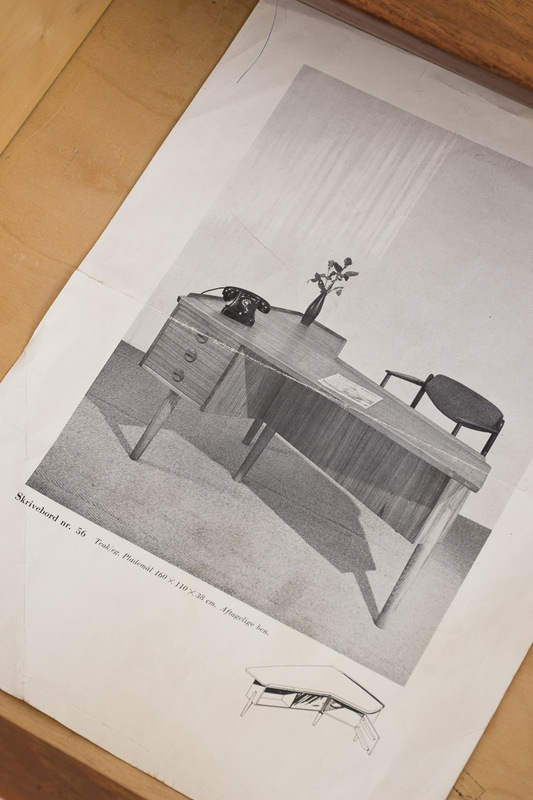 In good condition with some signs from a previous life as shown in the pictures.